OMG!! 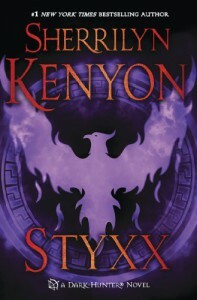 I went into this book excited to read Styxx's story. I came out shell-shocked and emotional! Well Played Ms.Kenyon! Another FANTASTIC book! I cried some ugly tears. I hope Estes, Apollo and Ryssa rot in Hell! No Spoilers from me, but if you like the Dark-hunter books you have got to read this one! Although I love Acheron, in this book we realize no one is perfect and that there is always two sides to a story.